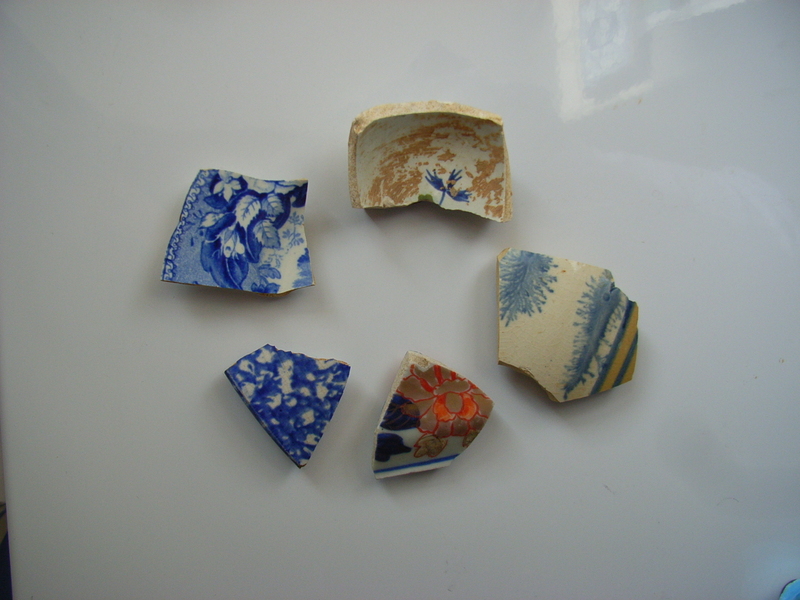 AsI was renovating the cottage, and recently while the garden was being created, I saved lots of bits, which have now been washed and identified. 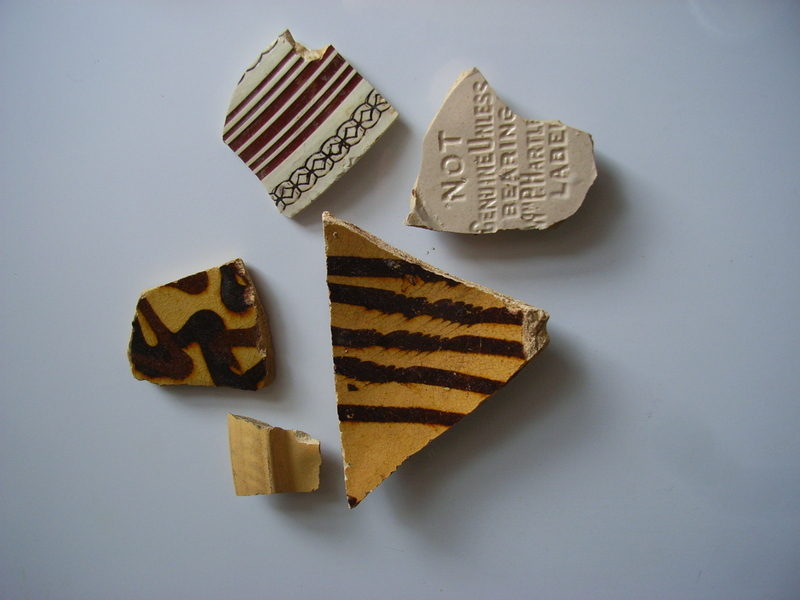 Some of my favourite pottery shards have been turned into fridge magnets, of which I’m quite proud. In the ‘parlour’ beneath the carpet and underlay, paper and tar, were two-inch thick ‘sandwich’ quarry tiles on a bed of sand and, at ‘rock bottom’ the local clay. Many of the quarry tiles are now stepping stones in gravel paths in the garden. In the kitchen beneath the wood-effect laminate, there were 1970s Marley vinyl tiles, then concrete. The concrete had been poured directly onto the original stone flags. Many flags were broken in removing the concrete, but the best pieces, including two huge slabs, now form my beautiful patio.